Oh hello my new favorite cookie, don't you look like you want to be gobbled up! Ok...talking to a cookie about eating it...not weird at all. ANYWAYS for New Years Eve, J & I headed up to our friends cabin in Big Bear for 3 days of nothing but hanging with friends, eating, drinking & more eating. I didn't have a ton of time to prepare some good snacks, but I did make the regular Buffalo Chicken Dip staple. I also wanted to bring something to munch on that was easy to pass & not incredibly difficult to make. Heading over to Pinterest (where else) I did a quick scan of my Sweet Tooth board & found a few different cookies. This recipe seemed like the easiest & didn't involve a ton of ingredients I didn't already have. 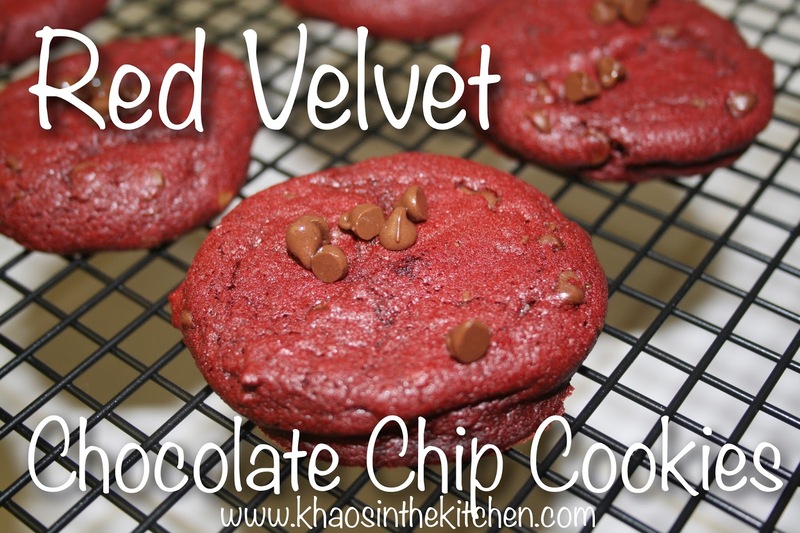 Plus, red velvet?? You don't have to ask me twice! These cookies were pretty DELICIOUS. I'm actually certain I ate half of them. They were rich & a bit more dense than normal cookies, but still amazing. Something to note, they do take a bit longer to make as the dough needs to fridge for an hour so it's not so sticky. Thank you Sally's Baking Addiction for the recipe!! How difficult was this acc to me? Not too hard! Toss the flour, cocoa powder, baking soda & salt together in a large bowl. Set aside. 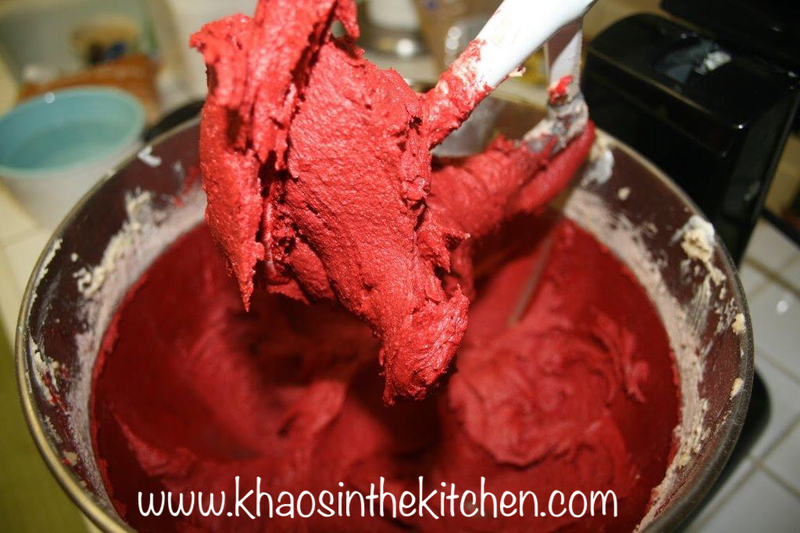 Using a handheld or stand mixer with a paddle attachment, beat butter on high until creamy. Scrape down the sides and the bottom of the bowl as needed. Switch mixer to medium, & beat in brown sugar & granulated sugar until combined. Beat in the egg, milk & vanilla extract scraping down the sides as needed. Once mixed, add food coloring & beat until combined. On low, add in chocolate chips. Make sure thoroughly combined. Preheat oven to 350 degrees. Line two large baking sheets with parchment paper if you have. I used tinfoil as a substitute & sprayed with cooking spray. Worked just fine. Scoop 1.5 tbsp of dough & mold into a ball. The dough will be sticky...I should have taken a picture of my hands. Bake for 7-10 mins. Mine were done after about 8 mins. The cookies may have only spread slightly. That's OK! Simply press down on the warm cookies with a fork to flatten & form crinkles. Stick a few chops into the tops of the warm cookies. Allow the cookies to cool on cookie sheet for 5 mins before transferring to a wire rack to cool completely.